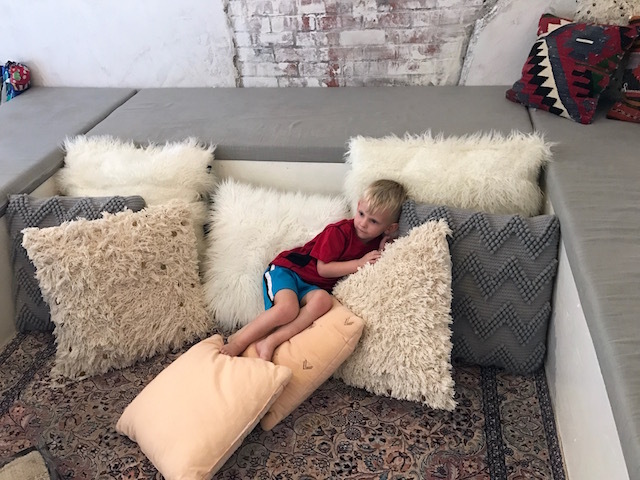 This past weekend Turner and I went to our first yoga class together at The Little Yoga House's newest location in North Austin. We participated in the Family Yoga class, and I loved it! The focus was "kids first, grown-ups second", and our instructor emphasized the class was all about connecting and having fun with your child. We did partner poses, group poses, silly flowing sequences and yoga games! Turner was all over the place as always, but our instructor, Marie, was wonderful and did a great job of getting his attention and keeping him involved. The nerds rope prior to class was probably a bad idea. 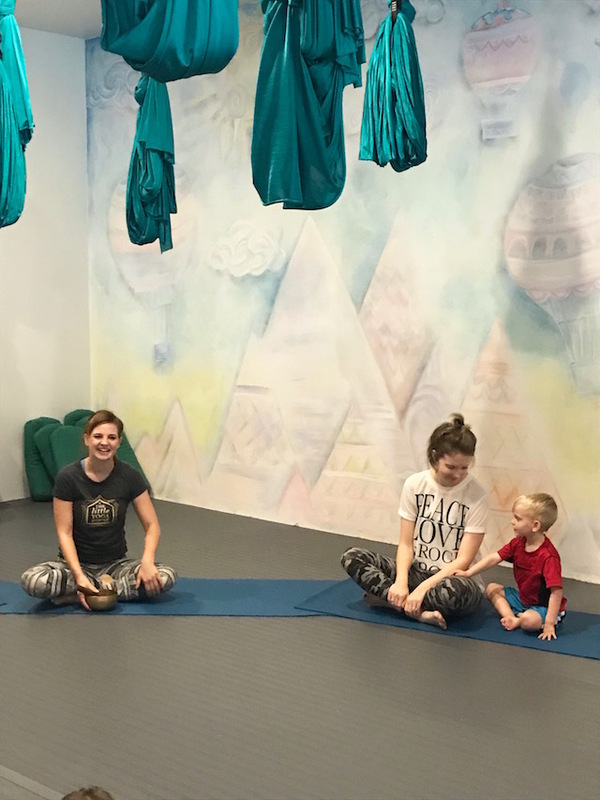 This is The Little Yoga House's second studio, and they have a ton of great programs and classes including Mommy + Me yoga classes, pre and postnatal yoga classes, aerial yoga classes and camps. There are so many benefits to children's yoga including stress reduction, strength, communication, anger management and confidence building. These include prenatal, postnatal, parent and baby/pre-tot/toddler, and kids ages 3-5. A new series will be starting the week of October 3rd for all of these. You can choose between a 10 week or 5 week series. See more info here. 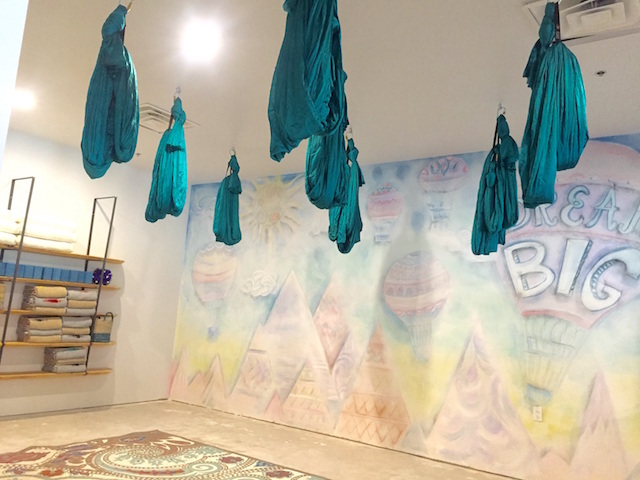 For children ages five to thirteen, aerial yoga classes consist of a fabric sling, called Yoga Hammocks, suspended from the ceiling. Children are challenged both physically and mentally with an emphasis on emotional growth. They recently started a series called Floor & Fly, which began September 27th. It's a 6 week series from 4:15-5 for $150. This is for kiddos 4-5 and is with a parent. They will offer 2 consecutive 6 weeks series this fall, so if you missed the first you can sign up for the 2nd. Spots are limited! 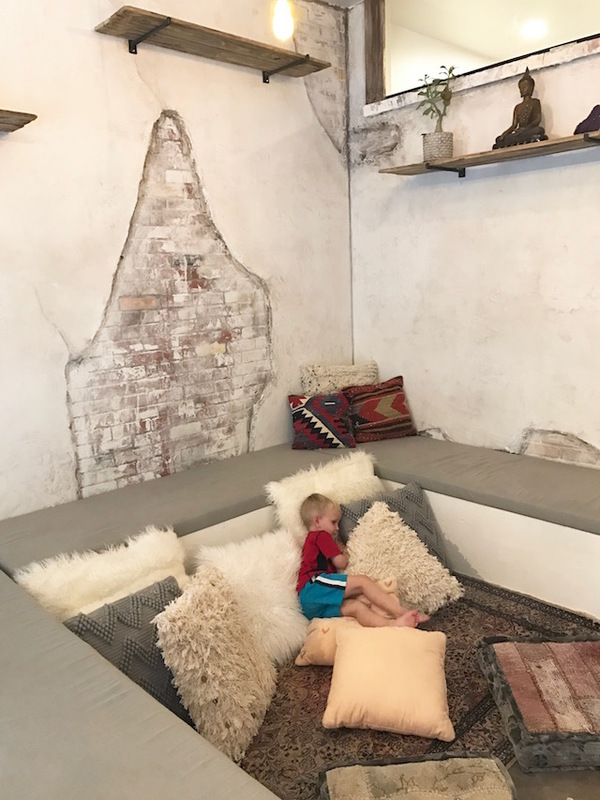 The space is beautiful and has the coolest reading/relaxing nook! 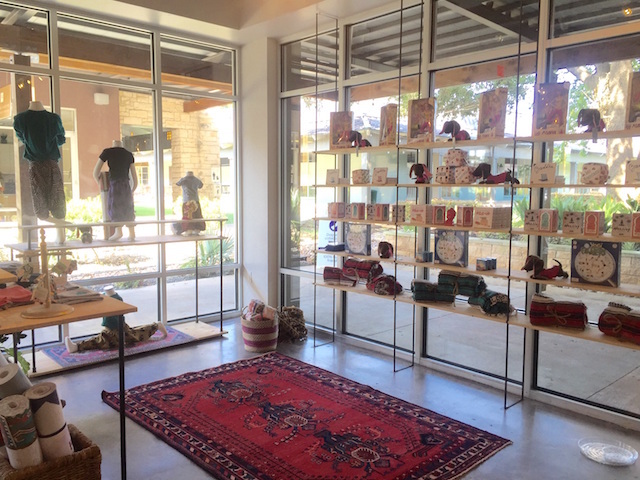 They also have a children’s boutique which features yoga apparel and mindfulness gift items. It was great for Turner and I to have a mother/son date and spend some quality one on one time together. Afterwards we headed to Terra Toys and had lunch at Cover 3 (it's in a great location). Ever since the class we've been practicing the poses at home. I hope to continue going and one day include Walt and Whitney! Check out The Little Yoga House on Facebook, Instagram or their Website! What a neat yoga studio. I love that they have so many options and include the kids. Wishing I lived closer to Austin are and could visit!